The Waldorf Cocktail was one of the signature drinks from the Waldorf-Astoria Bar at the beginning of the 20th century and it remains a fantastic cocktail. If you are looking for a great drink with classic style, this is a perfect option. Think of this as a rye whiskey Manhattan with a hint of absinthe. This little addition adds dimension to the drink and the anise is the most interesting contrast against the sweetened whiskey background. In "The Old Waldorf-Astoria Bar Book," A.S. Crockett calls for equal parts of whiskey, vermouth, and absinthe. That is a lot of absinthe and probably too much for modern tastes. Over the years, the ratios have been adapted to those below. However, if you are adventurous, give the original one try. In the recipe, I have taken it even further and used the absinthe as a rinse that gently coats the glass. This is a nice way to get the most gentle of anise flavors into the drink and is used in other classics like the Monkey Gland. Pour the whiskey and vermouth into a mixing glass filled with ice. Strain into the rinsed glass. Which Whiskey Should You Use? Rye whiskey is typically used in the Waldorf Cocktail though there was a time when good ryes were extremely rare. That led many bartenders to do as they did in other whiskey cocktails and turn to bourbon. Either is a nice choice, though now that rye is making a big comeback, you should consider getting a taste of the original. There are a number of rye whiskeys to choose from and almost any on the market will be excellent in the Waldorf. Consider small batch brands like Whistle Pig or High West Double Rye as some of the best rye is coming from the smallest distilleries. For tried and true rye whiskey options, look to Sazerac or Knob Creek. Whiskey made from rye is considerably spicier than other styles and it may not be for everyone. They certainly are among the most flavorful whiskeys, yet a good bourbon can stand up just as well in this cocktail. If you're seeking a bold flavor, try Wild Turkey 101 or anything from Old Rip Van Winkle. You might also consider a very fine bourbon like Baker's from Jim Beam's Small Batch Collection or Angel's Envy. 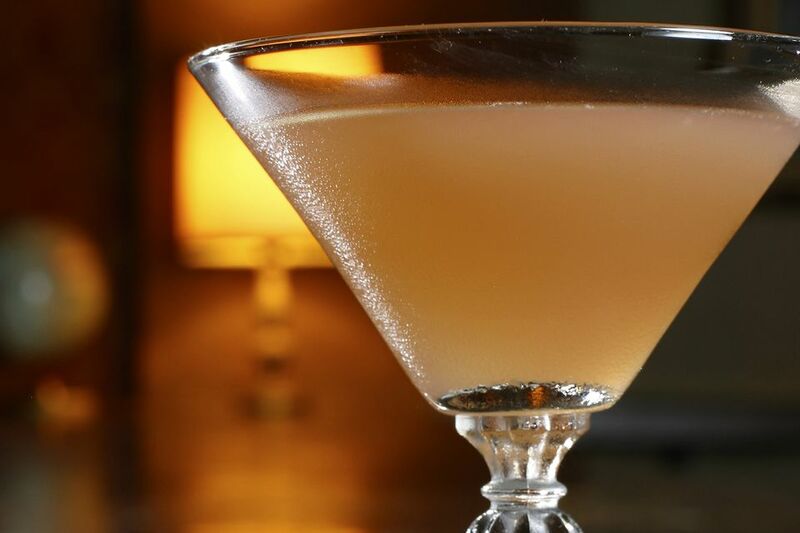 No matter which style of whiskey you choose for the Waldorf Cocktail, make it a good one with full-body flavor. Softer whiskeys will not stand up to even a hint of absinthe and this is a cocktail that requires you bring out the best you have in stock. How Strong Is the Waldorf Cocktail? Many of the whiskeys we've discussed exceed a bottling strength above the standard 80-proof. A higher alcohol content often means more flavor and these will do much better in the Waldorf Cocktail. For that reason, let's estimate the drink's strength using a 100-proof whiskey. In this case, the cocktail will weigh in right around 35 percent ABV (70 proof), which in no way is considered a light drink. Take it easy with this one and enjoy.